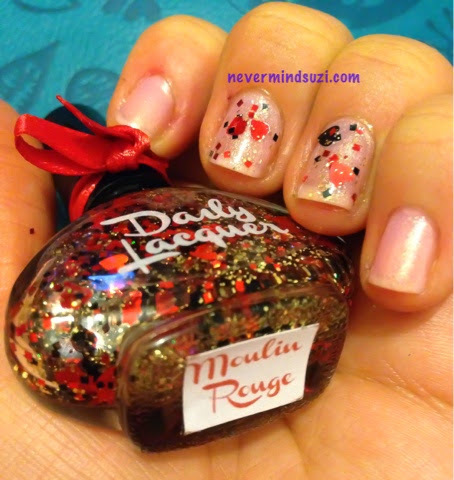 Daily Lacquer - Moulin Rouge is gold glitters, black and red squares and black and red hearts. 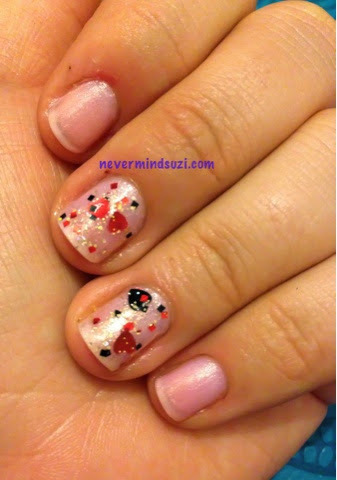 I've popped this over Spoiled - Tattle tell, a soft pink full of golden shimmer. 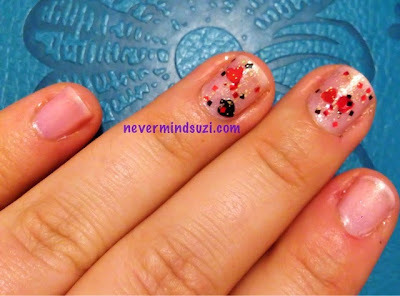 This is quite an unusual combo for me but a nice wee change.